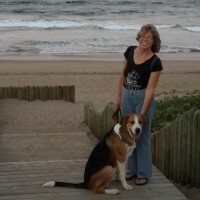 Jayne is a qualified Animal Behaviourist with Thinking Pets, COAPE, UK. She has been training dogs for many years, has attended numerous workshops and studied Ttouch. Jayne runs the Jayne Trains Dog Training School from her home, The Blue House in Hilton. She also does private sessions in the comfort of your own home and garden. 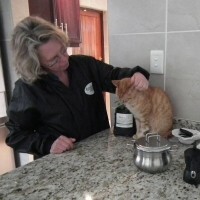 She travels far and wide, up into the Midlands and down through Maritzburg to show her clients how to improve communication with their pets, ensure they are happy and are understood - both canine and feline. Jayne runs a Puppy School in the safety of her spacious garden, with classes starting monthly. After completing her Puppy Course, you can continue training by joining her Beginners’ Class. 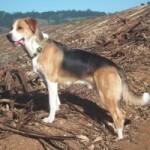 She is currently running three small classes for various levels of training and socialisation. Jayne also does confidence building, introductions of dogs and dog walking. For a gentle approach to teaching your pet, using positive reinforcement, call Jayne Goetsch.